A devout Christian, Steph Curry is the type of NBA star who’s known to practice what he preaches. 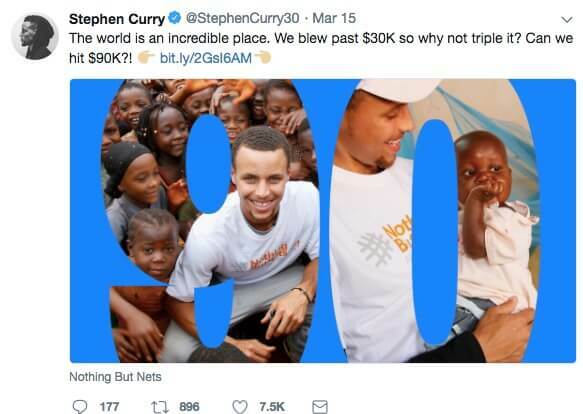 From public prayer requests and quoting the Psalms to his 12.5 million Twitter followers, to raising money for incredible charities, Curry puts his money where his mouth is in his Chrisitan walk. But like the rest of us “imperfect” Christians who have sinned and fallen short of the glory of God, Curry has had his fair share of slip-ups as well. In the third quarter of his 3rd game against the Houston Rockets, the 3-point sharpshooter was on FIRE. 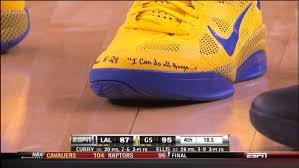 His trademark “I can do all things” line representative of Philippians 4:13 was certainly not in alignment with a profane outburst that did not glorify Christ. The Golden State Warriors went on to beat the Houston Rockets 126 to 85 and take a 2 to 1 lead in the Western Conference finals. While Curry’s mother, Sonya, was certainly impressed with her son’s stellar performance on the court, she was NOT pleased with his potty mouth. “She already sent me two home videos, showing me the clip and playing it back,” said Curry, according to ESPN. Convicted that his mouth did not align with his Christian values, Curry was understanding of her criticism and even thankful for the scolding which caused him to clean up his act. Curry’s humble reply mirrored that of a response he tweeted to a prior incident last October where he chucked his mouth guard out in anger. Afterward, Curry’s tongue cooled off and he channeled his excitement instead with a little “shimmy” dance that left fans delighted. Cheers to Curry for recognizing his foul behavior and recorrecting with class. God doesn’t expect us to be perfect, but he does expect repentance and a desire to overcome our sinful nature through His power and the gift of His grace. Next articleDonald Trump’s kids forgot to register to vote. Don’t make the same mistake.